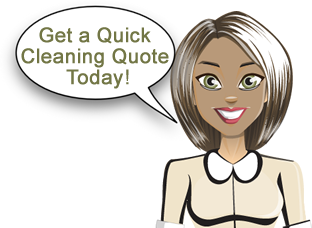 Get a Quick Cleaning Quote! Aquastar Cleaning Services offers weekly, bi-weekly, monthly, moving in/out or just one time service. We individualize our cleaning services to fit you and your home needs. We have over 15 years of experience, which has taught us that every home is unique as the people living in it. Pricing on house cleaning services is based on many factors; starting by, size, frequency, pets, products and clutter are some of those factors that are looked when a quote is given. Every quote is unique and tailored to meet your expectations. Aquastar Cleaning Services brings years of experience and a meticulous attention to detail to every project. Our core values include integrity, trust, teamwork, and respect, as we strive for excellence in everything that we do. As a member of Aquastar, you can help shape our future and reinforce our core values. We are hard working, reliable, detail oriented house cleaning and housekeeping experts. Hundreds of our satisfied costumers are the best guarantee of the highest quality services we provide to all of our clients. If it is a house, condo, you need a help with, we will clean it to your best satisfaction - guaranteed. We clean your entire home each visit. Many other house cleaning services use a rotational system, meaning one portion of your home gets an in-depth clean on each visit. your entire home is thoroughly cleaned each and every time we service your home. When you need our comprehensive services for your home, you can rely on our friendly and professional staff to provide you with high quality help. We take pride in our thorough and meticulous work and our experienced employees. When you choose to work with our locally owned house cleaning company, you can look forward to having your specific needs met at a time that works for you. We aim to provide our valued customers with competitively priced services that will not break any budgets. If you would like to make an investment in your health, Aquastar Cleaning Service is available to cater to your needs. Whether you need us every week, bi-weekly or just once a month, you can count on our Kennesaw based business for a professional and efficient job. If you are ready to have a clean home without doing any of the work, then we invite you to give us a call today.